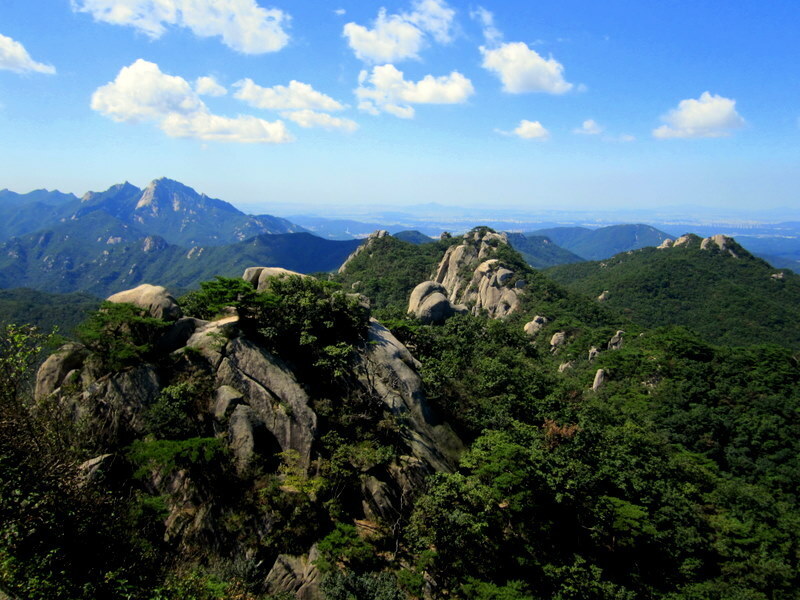 Say hello to Dobongsan (Mt. Dobong)! The hike up Mt. 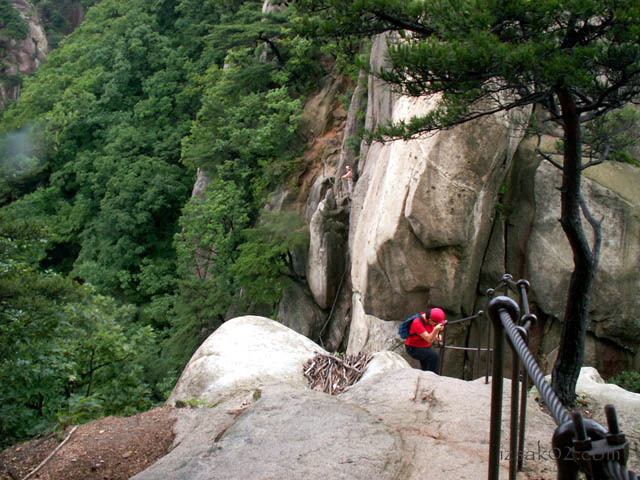 Dobong in Bukhansan National Park is not for the faint of heart nor for the weak of thighs – this trail is TOUGH! 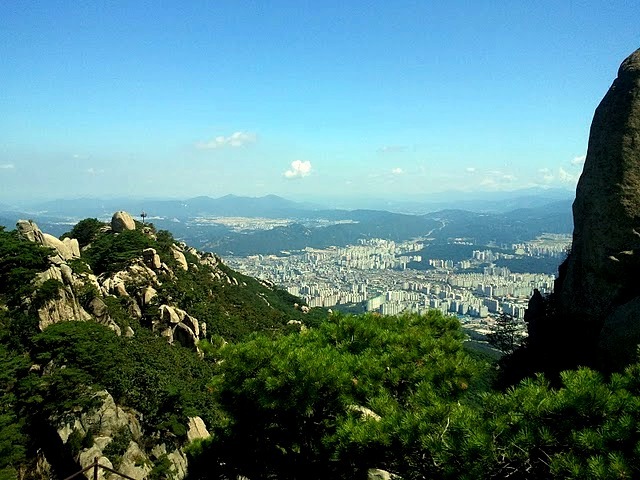 But, aside from the slight brush with death, hiking Dobongsan was unbelievably rewarding thanks to the exhilarating views and the full-body workout. 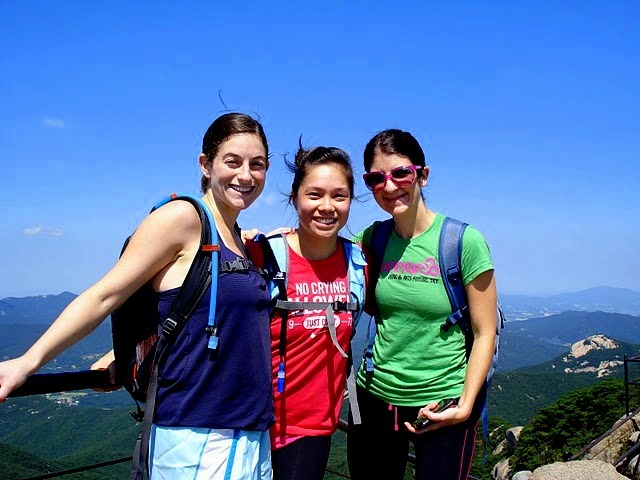 Two of my hikerific girlfriends planned a “nothing out of the ordinary” hike up to Jaunbong, one of the peaks of Dobongsan, and invited me to come along. 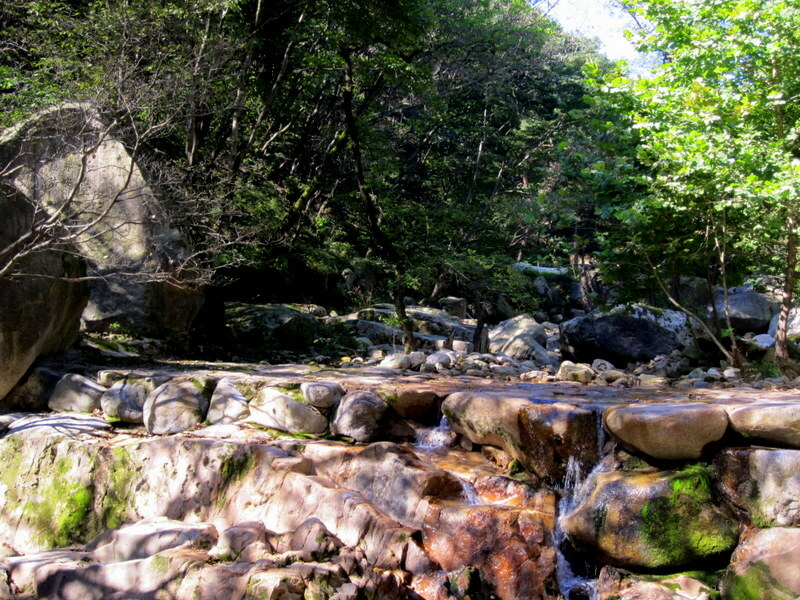 At the time, they didn’t know how much I like to sing while hiking…so, I’m not too sure I’ll be invited again. At first, everything seemed normal (for Korea, anyway). 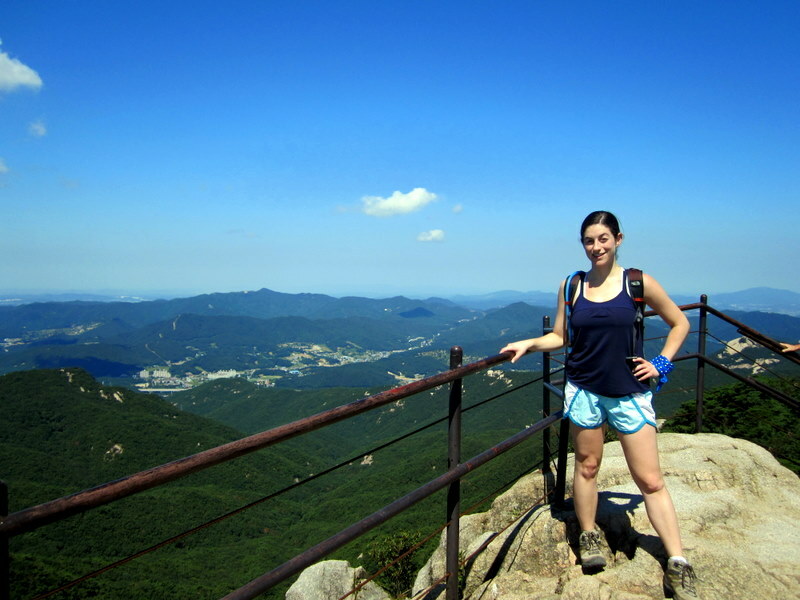 We took the subway to the trail-head (hiking is so wonderfully accessible in Seoul), where we met up with the TONS of elderly Korean hikers (dressed to the activewear 9’s) – ready to skip up the mountain. The trail to Jaunbong started-off with a light ascent along a beautiful river & gradually progressed into a fairly steep incline, paved with large granite steps. This rather enjoyable climb took us approximately 1 hour. Towards the peak, the trail stopped being a trail – yes, that is the best way I can describe it– and we proceeded to scramble up a seemingly vertical pile of rocks until we reached the top. Nothing to worry about, I used both my hands and feet to reach the peak. After about 30 minutes of climbing on all fours, we reached Jaunbong peak, and then everything was illuminated. And that is when things got crazy. In order to reach the trail down the mountain, we had to traverse the insanely steep Podae Ridge using ropes, railings, and sheer Man Versus Wild fight to survive. We were scared out of our minds. We couldn’t take any photos of the ridge because we were holding onto a freaking rope for dear life (survival > pics for blog), but I managed to find an image on the interwebs, below, to give you a mental picture. 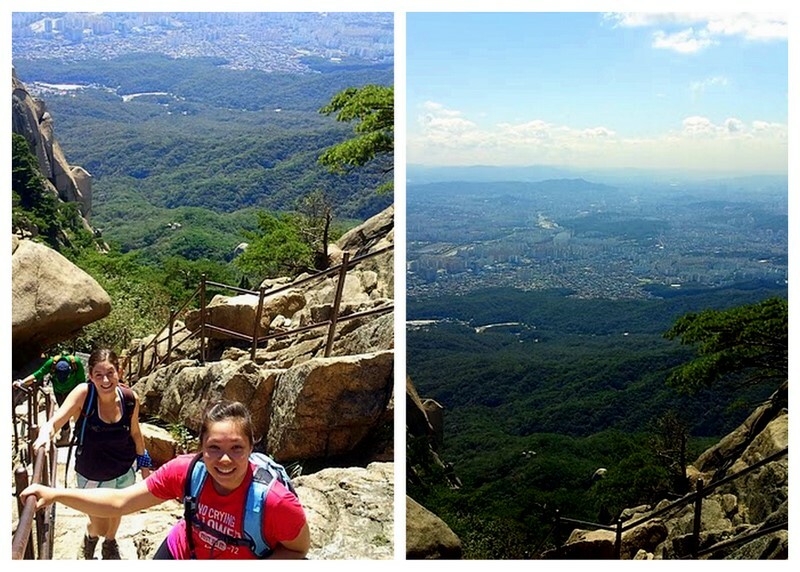 Yeah, we did that with a little help from our friends…our Korean hiker friends. These amazing hikers, who may or may not have been 50+ years old, took pity on us three hysteric foreign girls & acted as our spotters while we rappelled down the mountain. It was only after we made it safely to the other side of the Podae Ridge and reached Podae Peak, when we realized that there is actually a “happy-go-lucky, skip and hold hands” trail-equivalent circumventing the mountain ridge that doesn’t require heart attacks. Ah, the perils of foreign-ness & not reading Korean warning signs. Anyway, by the time we reached safety, we were so emotionally and physically drained, that all we cared about was getting down the mountain. So, we veered onto the Minchosaem (Spring) trail, which ended up being a calm and gorgeous descent down a dry stream bed. It was like 2 hours of downhill therapy. 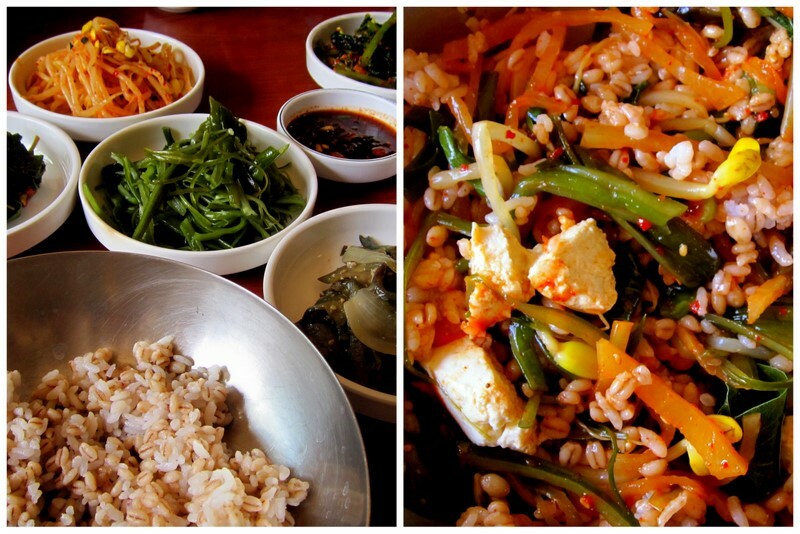 When we finally reached the end of the trail and the bottom of the mountain, we rewarded ourselves with hugs, high-fives and barley bibimpab. much like the thousands of people who hiked this trail before us. 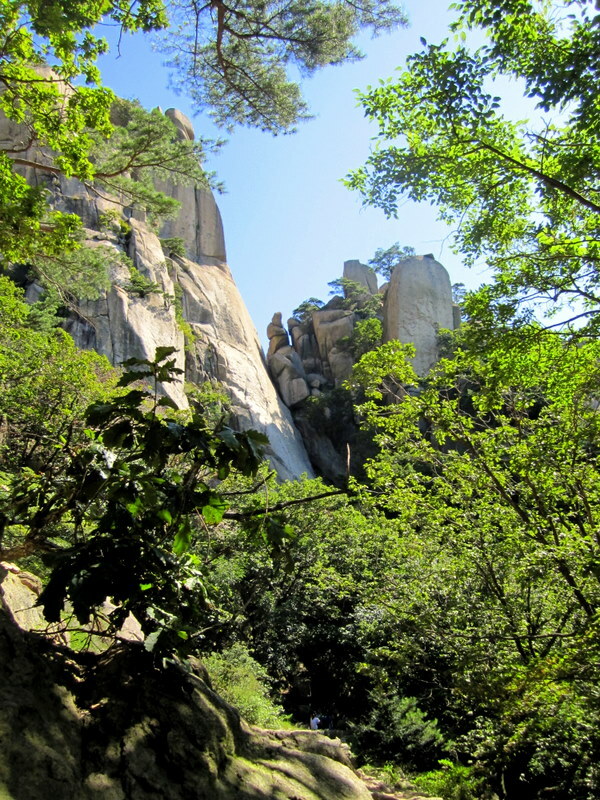 One of the great things about hiking Dobongsan is that the trail-head is conveniently located next to the Dobongsan Subway Station (Line 1, Exit #1). At the entrance to the park, make sure to get a map from the information booth. 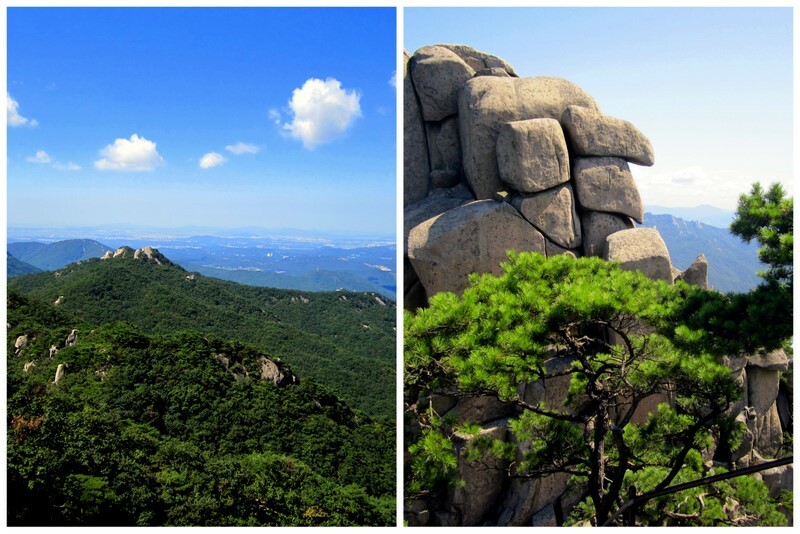 Hike up the mountain, following signs for Jaunbong, one of Dobongsan’s peaks. After hiking to the peak, you will have to walk across the Podae Ridgeline to go back down the mountain (unless you want to retrace your steps & go down the same way you came up). After walking the ridge and reaching Podae Peak, you have a few trails leading to the bottom of the mountain. 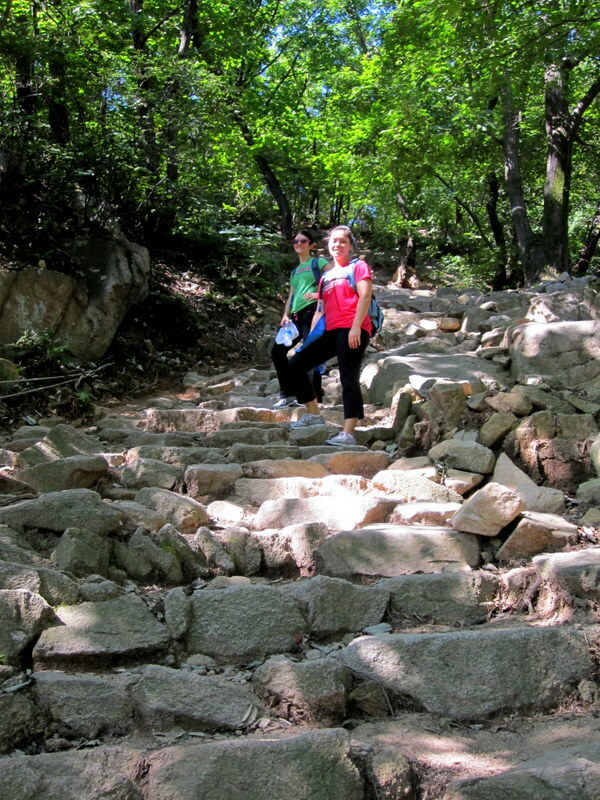 We, chose to take the Minchosaem (Spring) Trail down, which was a beautiful and rather easy descent.